Everyone wants something more, when they know they can't have it! As soon as I saw this necklace, I wanted it. I first saw this on Heart from Thatsheart on YouTube. I just loved how understated, pretty and unique it was. Even better, I couldn't believe it was only £6.00. I ordered it straight away and haven't take it off since. I just love it and can't believe my luck at finding it! But if it changes colour, I'll buy another one. And then another one... and still have saved a huge amount. I posted a picture on Instagram of it this morning. I don't know why I look grey.. I am not a corpse, I promise. 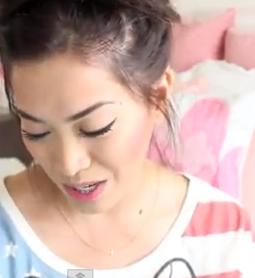 I've heard that Topshop have a new selection of fine necklaces so I plan on having a look at them soon aswell. 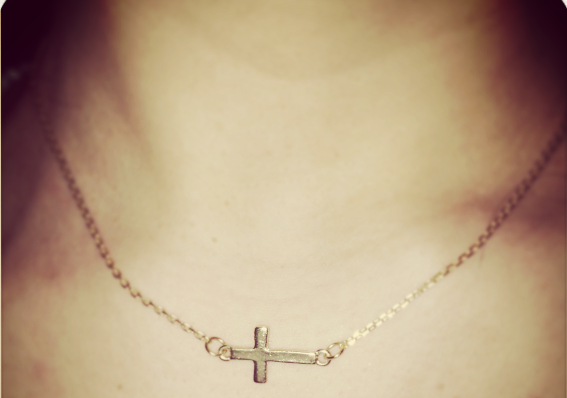 Whats your favourite jewellery piece at the moment? 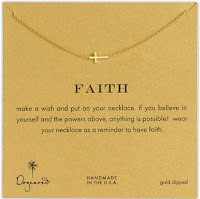 7 comments on "DOGEARED Faith Necklace Dupe"
Wow! That's an awesome find. Now I gotta order it for myself, haha!